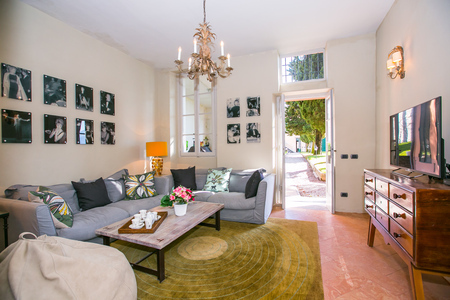 Truly romantic and truly unique, this luxury lakeside 4 bed villa promises timeless escapism for families and groups of 10. 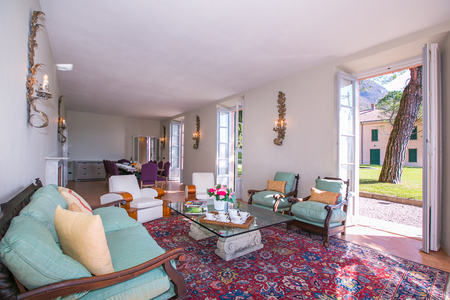 Sitting in its own private lakefront garden with boat mooring facility, the detached period-style villa in Fiumelatte-Varenna oozes Italian style. 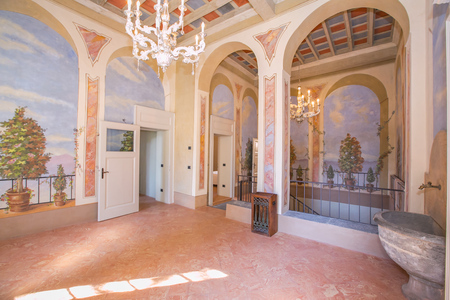 From its pretty pink facade and green shutters to its beautiful internal frescoes and original marble floors, the villa embodies the timeless elegance of Lake Como. 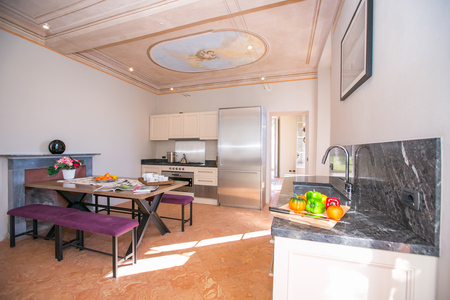 The villa is suitable for year-round stays and offers everything you need for enjoying a full-on self-catering stay. 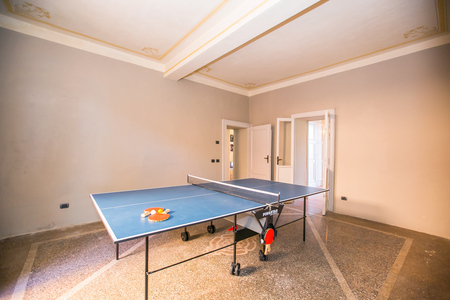 Guests will find a large Kitchen Diner and 2 reception rooms to relax in and socialise, whilst a games room with table tennis and pool table provide classic family amusement. 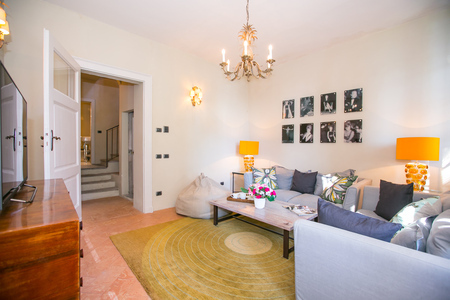 The villa is also equipped throughout with free WIFI access and also a large SAT TV with DVD player (to the second sitting room). 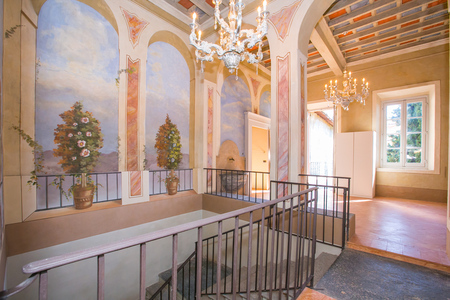 With lake view terrace access the feature of many rooms here, guests can easily soak up the romantic ambience of Lake Como. 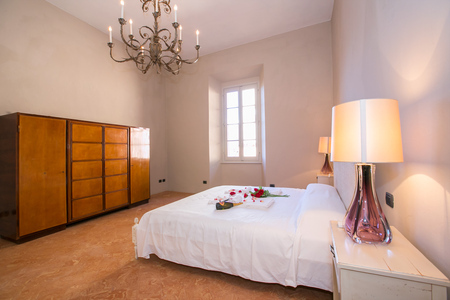 Perfectly suited for groups of 10, the villa features 4 bedrooms (3 Double + 1 featuring 4 single beds) and 3 contemporary bathrooms. Private parking and a boat mooring facility also feature for added convenience. 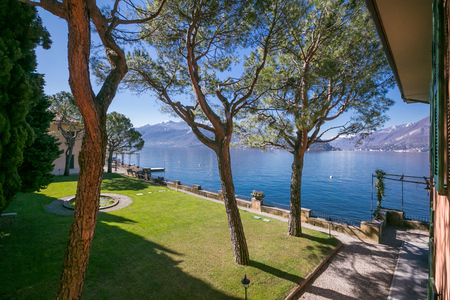 From its idyllic lakeside setting, the amenities and train links of Fiumelatte village are close to hand. 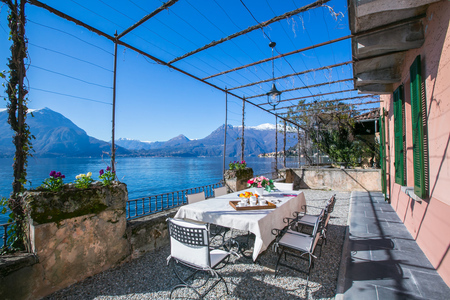 Neighbouring the famous resort town of Varenna, the villa offers a breath taking setting for soaking up the main Central Lake tourist attractions and year-round highlights. 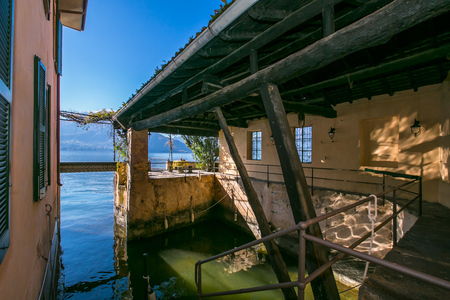 Well-connected too, Varenna also offers a convenient ferry service, bus stop, road links and a Lecco-Milan train service. Relaxing Principal lake view Living room • A bright and generous open plan Living space • Offers an elegant sitting area with direct access out to the lake view terrace • Complemented by an elegant dining area for 10 Relaxed Sitting room • A lovely sunny sitting room with sumptuous sofas and terrace access • Accompanied by a large flat screen SAT TV with DVD player, for timeless relaxation Eating In Lake view Kitchen Diner • A luxury lake view Kitchen Diner with terrace access • Equipped with all the must-have appliances, including a lovely range cooker with gas hob and oven, a microwave, toaster, coffee machine, electric kettle, dishwasher and fridge freezer • A stylish breakfast table features 2 long benches, and can easily sit 8-10 • Accompanied too by an elegant dining venue for 10, which features within the generous open plan layout of the principal lake view Living room Outside Dining • An alfresco lakeside dining terrace for 8 also offers a lovely ambience for dinner parties • A café dining bistro set can also be enjoyed out in the lakeside garden Sleeping The beautiful villa is perfectly suited for large groups of 10. All classic in style, each spacious bedroom offers an ambience of restful serenity and endless charm; for the perfect place to enjoy a good night’s sleep. Bedroom 1 • A beautiful lake view Double bedroom with wardrobe and terrace access Bedroom 2 • A delightful Double bedroom with lake views and wardrobe Bedroom 3 • A flexible bedroom featuring 2 sets of Single beds (to sleep 4) • Benefits from lake views and a wardrobe Bedroom 4 • A lovely Double bedroom with wardrobe Extra Single adult camp beds and infant baby cots can also be provided upon request (for an extra cost). Bathing Bathroom 1 • A contemporary full bathroom with a shower, bath tub, wash basin, WC and bidet Bathroom 2 • A contemporary bathroom fitted with a shower, wash basin, WC and bidet Bathroom 3 • A contemporary bathroom fitted with a shower, wash basin, WC and bidet Additional Equipped for enjoyable and comfortable year-round stays, the luxury villa further benefits from free WIFI access, cosy central heating and an ambient fireplace. 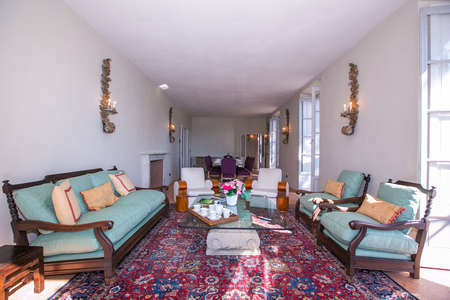 SAT TV channels can also be enjoyed in the relaxed sitting room. 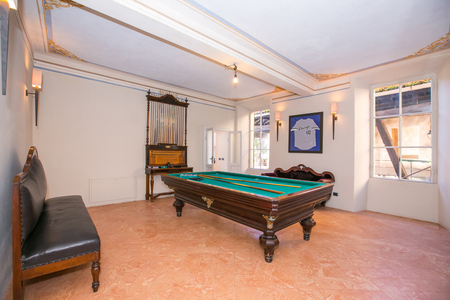 The villa also features a lovely games room with pool table and also another room with table tennis. 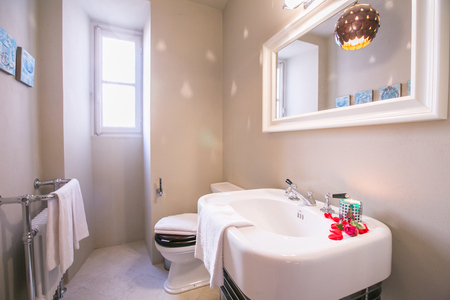 For added convenience a washer dryer, clothes horse and hairdryer are also provided. 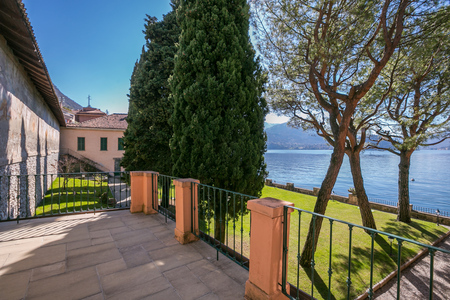 Outside With the sunny landscaped grounds stretching along the lakeshore, the villa’s private garden offers pure escapism. 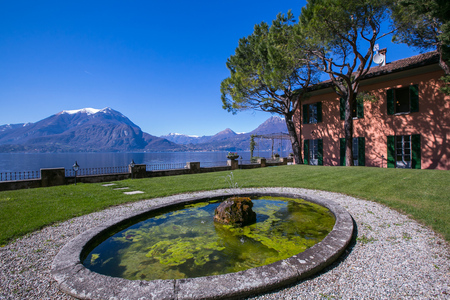 A trickling fountain and boat mooring facility set the scene for an exclusive Lake Como lifestyle, where you can wine and dine your days and nights away. 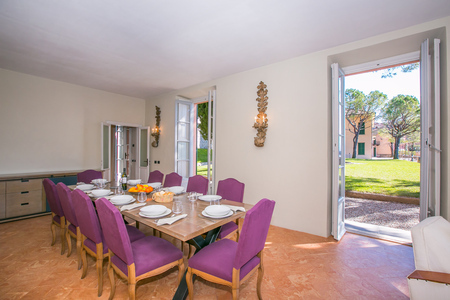 The romantic vine covered terrace offers a lovely lake view setting for hosting alfresco dinner parties. 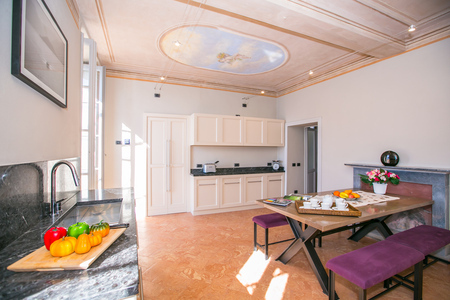 Upon request a private chef or Italian ‘mama’ cooking experience can also be enjoyed; for a truly authentic meal to remember. A café dining set in the garden also lets you relax out here with a morning cup of coffee. 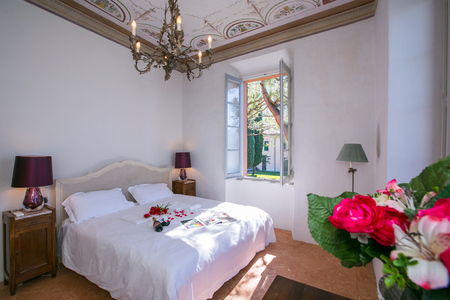 The private garden features mature ancient pine trees, which complement the contrasting pink render and green shutters of the villa’s façade beautifully. 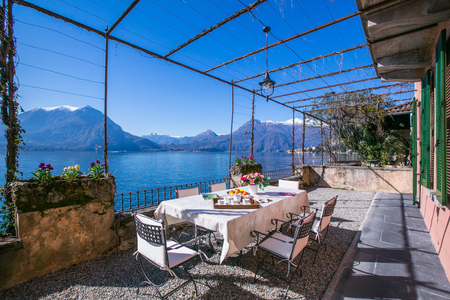 Its lakeside setting is highly-desirable, with direct views of the Central Lake to take in and a classic Lake Como sightseeing experience just a boat ride away! Parking A private parking space and boat mooring facility are provided, enabling guests to easily reach the villa by road or water. 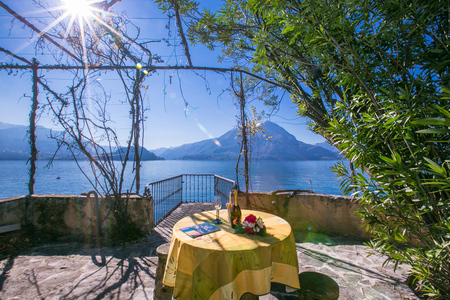 Location Situated along the Varenna lakeside, in the neighbouring village of Fiumelatte, guests can easily soak up the history and romance of the area. 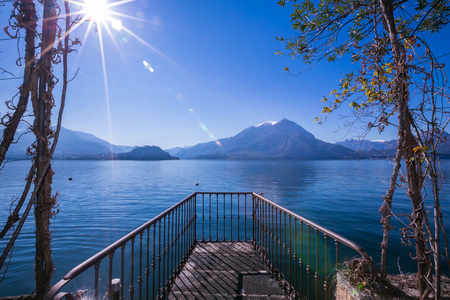 The local village is home to Da Vinci’s famous ‘Fiumelatte’ (the shortest river in Italy) and also an Italian restaurant, a bakery and train service (on the Lecco-Milan line). 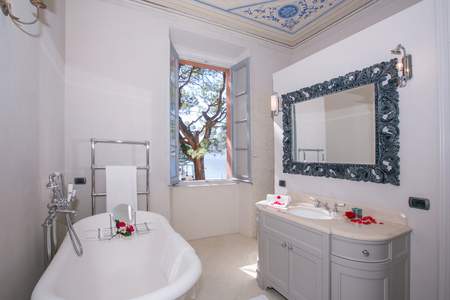 Guests are a 2 minutes’ drive/ 1 minutes’ train ride from central Varenna. 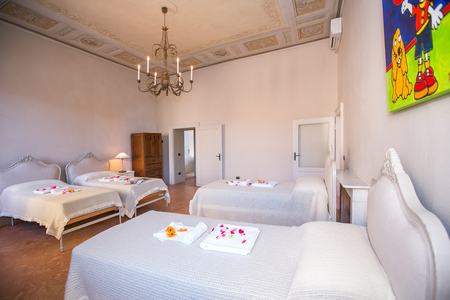 The historical Old Town boasts plenty to look at, including the famous ‘Villa Monastero’ attraction and a wealth of boutique gift shops, cafes, wine bars and lakeside restaurants. 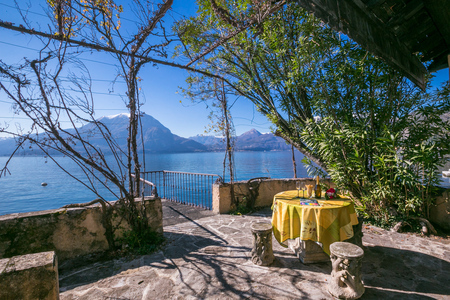 Varenna also offers the ‘Castello di Vezio attraction’ (perfect for a scenic walk and picnic, the falconry displays and annual medieval festivals) and close proximity by car to the Perledo Cookery School, the Jungle Raider activity centre, the amenities of Bellano and the Italian Alp ski slopes of Piani di Bobbio. 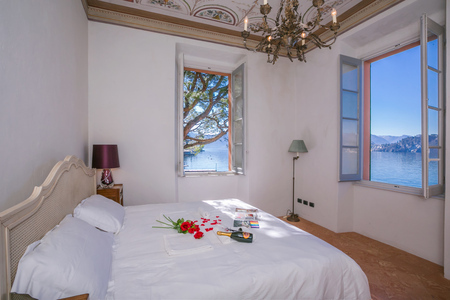 Varenna is very well-connected; with a frequent car & passenger ferry service accompanying the convenient road, bus and train links. 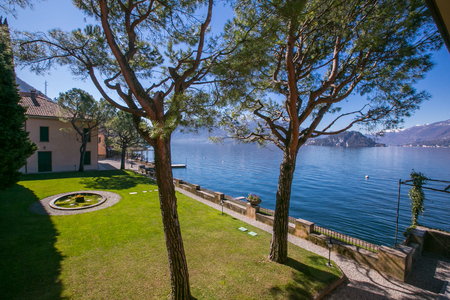 From this picturesque resort town, guests can easily reach Bellagio (for the Villa Melzi gardens, the Extreme Outdoor Sport club, its’ fashionable Lido and delightful range of tourist shops and restaurants), Cadenabbia (for Villa Carlotta, Villa Balbianello and the Tremezzina restaurants and hiking routes) and Menaggio (for its family-friendly Lido, romantic lakeside promenade, Menaggio & Cadenabbia Golf club and the road and bus links (via Porlezza) to the Swiss lake city of Lugano). 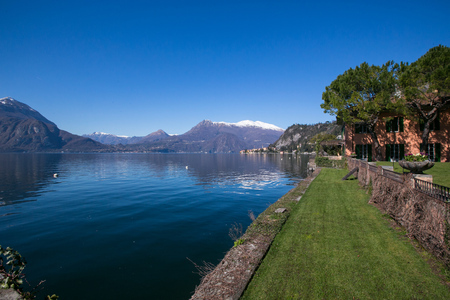 Perfect for Central Lake sightseeing and all-weather city trips, Fiumelatte also offers close proximity to Lecco (24 minutes’ drive), Como (66 minutes’ drive) and Milan (75 minutes’ drive). All three cities can also be reached by train, from Fiumelatte’s own station. The closest airports are Milan Malpensa and Bergamo (83 minutes’ drive away). The additional service charge is 600. This property has a minimum stay of 5 nights. 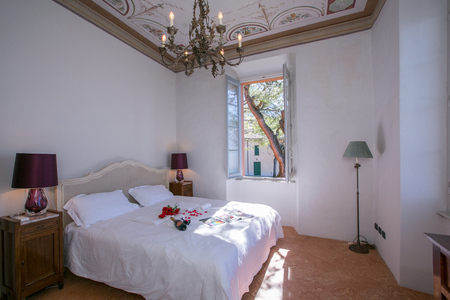 5 night break - 20% off weekly tariff / 6 night break - 10% off weekly tariff. 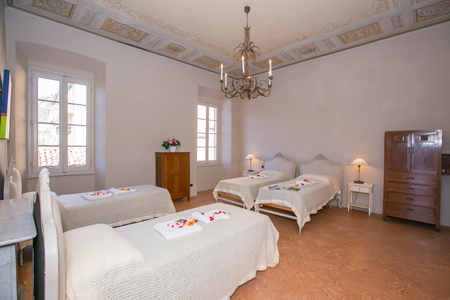 September 2017 We had a splendid time at Villa Capuana a beautiful place and great location. Marty was too good help and very pleasant to deal with! Margareta, USA " Margareta Aronson "
August 2017 Yes, we wanted to respond to your inquiry. We had an amazing trip staying at Villa Capuana and are very grateful to the staff at Holiday Homes for making it so enjoyable. 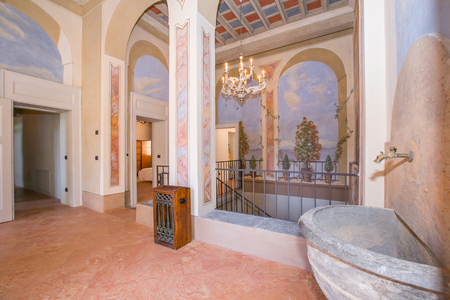 First, the house was extraordinary. 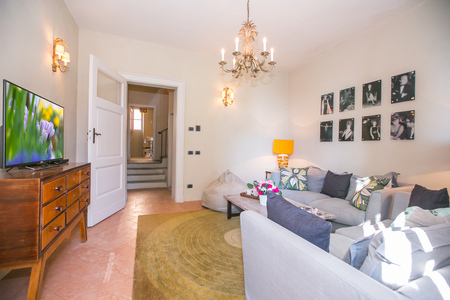 Beautiful location, nicely furnished, with lots of space and very comfortable. And a pretty well stocked kitchen. One thing we wish is if the owner (or HH) provided some history of the house for the renters to be able to read. I’ve done a little research on the house and it is truly an historic property. We had no idea (I’m happy to share with you what I have learned, if you’re interested). The appliances were all modern and functioned properly, the showers were great, basically everything that was supposed to work, did work. One ting you probably ought to do is let your tenants know that Netflix is available in the house. Our kids accessed that daily (when the internet was working). Second, the boat rental was extremely convenient and a good alternative to renting a car. By boat, we were able to reach many of the local Como towns on our own boat, and not have to worry about the ferry (although we did take the ferry some as well). We would not have rented the boat if there was no boathouse, so that made it easy. Third, the proprietor of the house, Marte (spelling?) was the best. He was not at all intrusive, but available to help whenever we needed him. Sometimes, that was to answer simple questions that we had, other times it was to repair something, he even helped us recover a soccer ball that was stuck in one of the trees. He is a delightful person and a huge help to tenants. Fourth, the fact that the house had air conditioning (in the bedrooms) turned out to be a Godsend. While it was hot downstairs, the bedrooms were comfortable sanctuaries during the two or three really hot, humid days we had on the lake. Fifth, the people in Varenna and Fiumelatte could not have been nicer to us. They made us feel very welcome and not self-conscious at the mistakes in language and custom I’m sure we were making hourly. 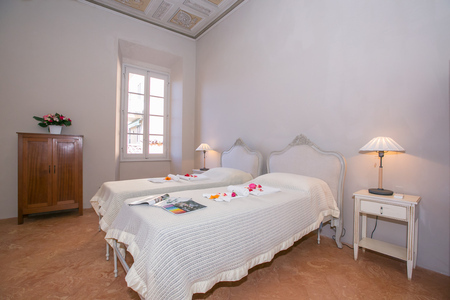 Sixth, thank you for the recommendation of Clara Bettarini. She was a skilled chef and her lovely daughter Sophia the perfect “wait staff.” It was a terrific way to celebrate our anniversary dinner. We visited the towns of Bellagio (touristy but definitely worth seeing), Menaggio, Bellano, Lenno and Tremezzo. The Grand Hotel Tremezzo (where we ate lunch) was extraordinary. We never did make it to Como or Cernobbio, which I wish we had. Just didn’t have time. The walk to Varenna was easy and it was nice to know there was also a more scenic option (the Greenway). Varenna is a cute town which we thoroughly enjoyed. And a lot of fabulous restaurants. The WiFi was nice to have in the house, although it went down several times when we were there and was typically slow. 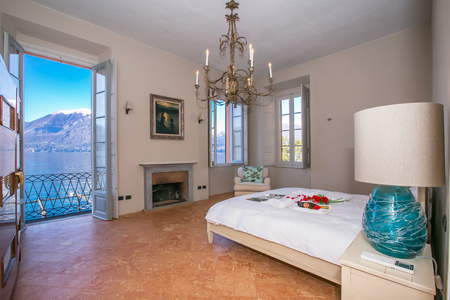 So I guess among the things we could recommend to improve – we already mentioned some background on Villa Capuana and better internet access. 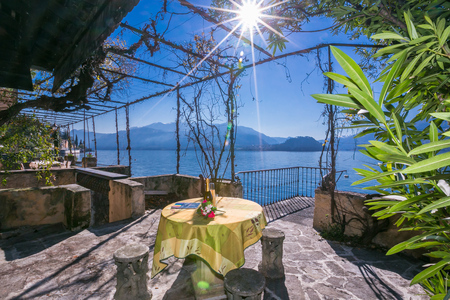 Additionally, it would have been nice to have a little bit better background on restaurant and even grocery market options in Varenna. We had to try a bunch of them ourselves. I would highly rate Crotto di Pina and Ristorante La Vista. Monamour was good, but a little pricey given the quality of the food. We had a pretty good meal at La Punta in Bellagio, but the view was breathtaking. 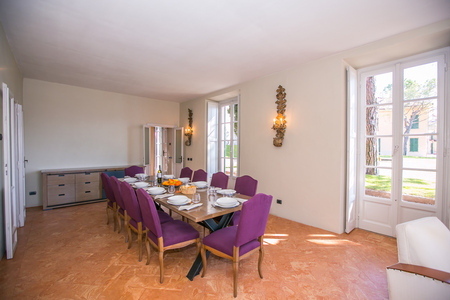 Anyway, more reviews of restaurants accessible to Villa Capuana would have been very helpful. Also, there is a little market in Fiumelatte that was great (open only in the mornings). Would have been nice to know about it in advance. I just kind of stumbled into it the first day we arrived and then went there every day thereafter for daily croissants and bread, prosciutto, cheese, bottled water, etc. Your team was very professional and helpful. It was nice to meet you when we came to Menaggio. I will try to send you some of our pictures. They all look like they are from postcards!! And yes you can use our comments however you wish. 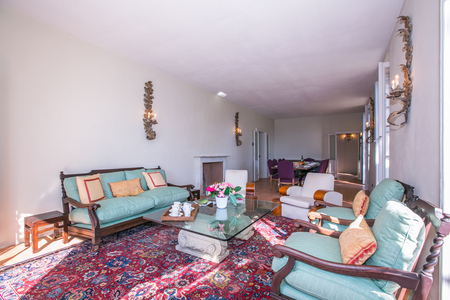 If we can ever be a reference for the property or Holiday Homes, we are happy to do so. Rest assured, I am telling all of our friends where to go in Como! You were all fantastic to work with!! Anyway, thanks for all of your help and look forward to our next interaction with Happy Holiday Homes. Steve, UK " Steve Perry "